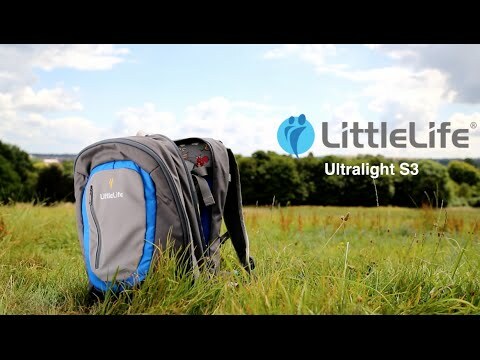 The LittleLIfe Ultralight Convertible child carrier is a backpack. Open it up and it’s a child carrier. Ideal when toddlers start walking, or travelling. 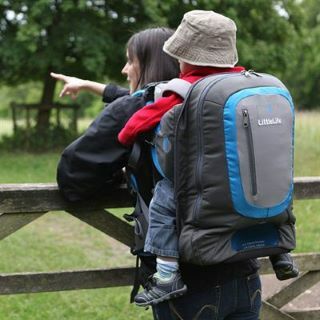 In our opinion, the LittleLife Ultralight Convertible child carrier is just what you need when you have a toddler starting to explore the outdoors, as whilst they toddle around, you have a normal looking bag on your back.  The Ultralight Convertible child carrier goes even further as it can almost lie flat and even has its own carry bag, so it’s easy to store in the boot or take with you if you’re travelling to see friends and family. Unzip the bag you’ll find the child seat inside. 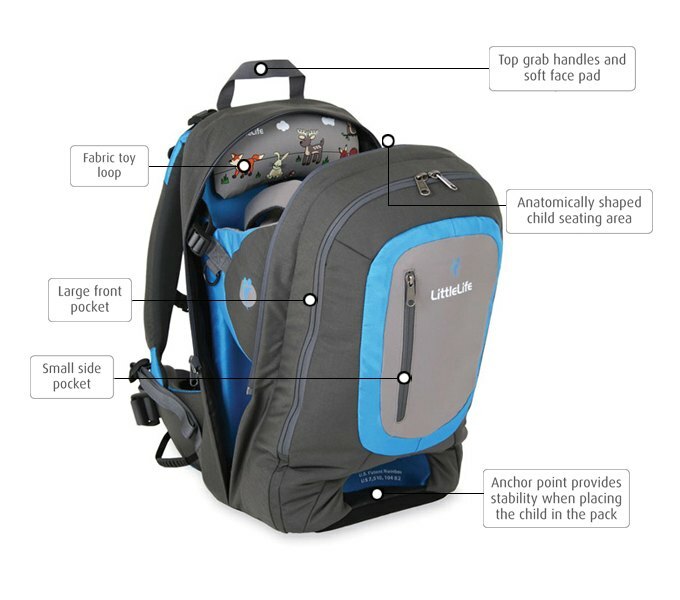 This is anatomically shaped with a back support to provide a comfortable ride for your child. You can clip on stirrups for extra leg support. The stirrups allow your child to push themselves up (and can stop them kicking your coat if they keep their feet in the stirrups). 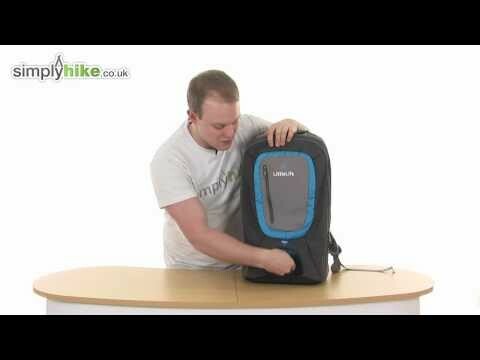 As with all other LittleLife child carriers, it has a removable soft face protection pad and toy loops. 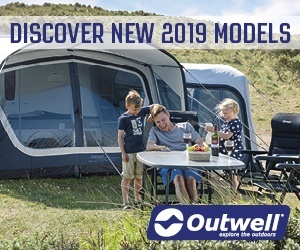 Other features of the bag include a grab handle, a foot support (place your foot in there to hold the bag steady when getting your child in and out), and a front zip pocket for a few little extras. 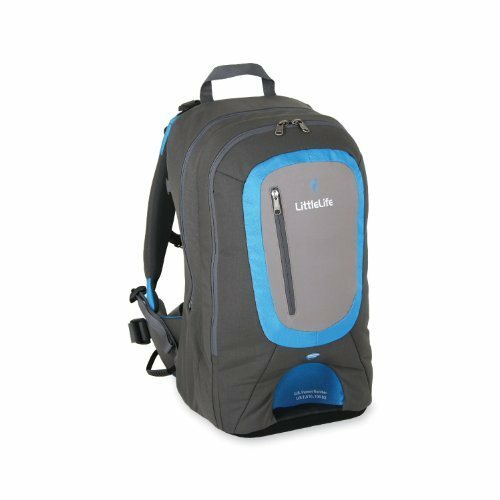 LittleLife says that this bag is suitable for children from the ages of 6 months to 3 years, or to a maximum weight load of 15kg. By the time they are three you should have started them walking a lot more, and so you would be using the carrier less and less (and a 3-year-old can be heavy to carry on your back). 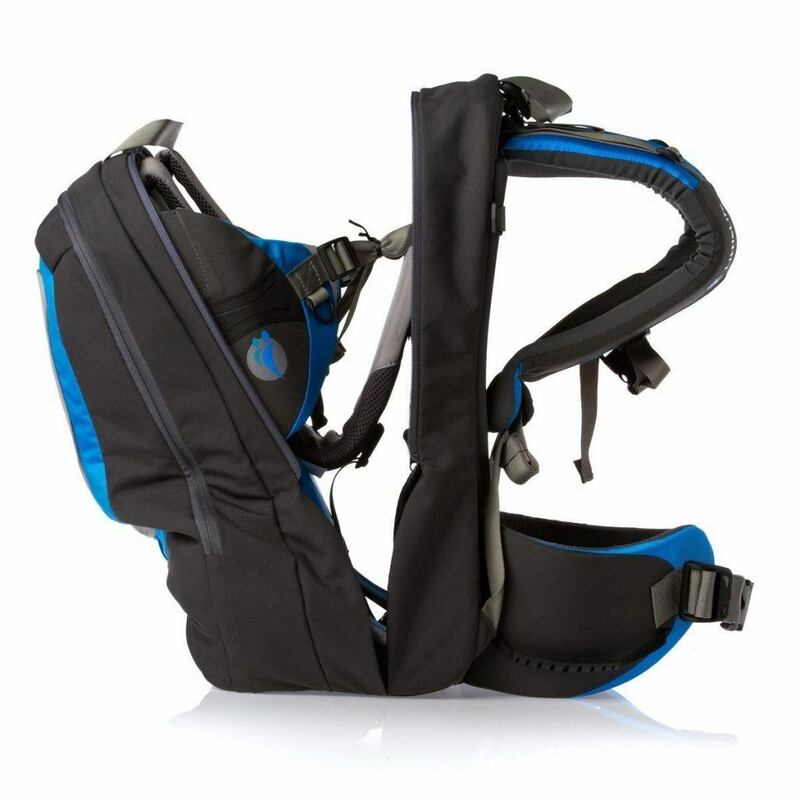 This child carrier fits best if the adult is between 5’2″ (1.57m) and 5’11” (1.8m).